Y LLÉVATE MIS PREOCUPACIONES Y CUALQUIER ENFERMEDAD. QUE ESTÁN PASANDO POR UNA DIFÍCIL PRUEBA. BENDICE Y ALEJA A MIS ENEMIGOS. 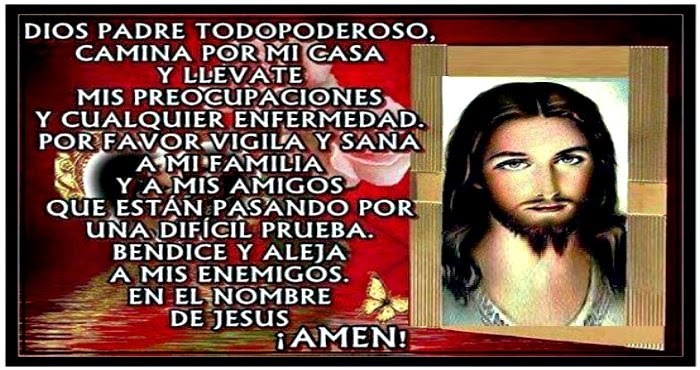 EN EL NOMBRE DE JESÚS.